METCO has given Michelle Crawford Cranmore educational ties to three Boston suburbs. Her two sons go to school in Weston through their METCO partnership; she spent five years as METCO Program Advisor in Brookline Public Schools, and this year she took on the METCO Director role down on the South Shore, in Scituate. Every student in Scituate is a METCO student because they are all part of this experience. Recent census data suggests that Scituate is 96.8 percent white. The eight houses of worship published on the town website cater to different Christian based religions. METCO is beneficial to the Scituate community because it offers students, staff and the greater Scituate community a peek into what the world looks like outside Scituate. Our Scituate students and families who reside in Boston come from all walks of life; they represent a tapestry of races, ethnicities, cultures, religions and ways of being. 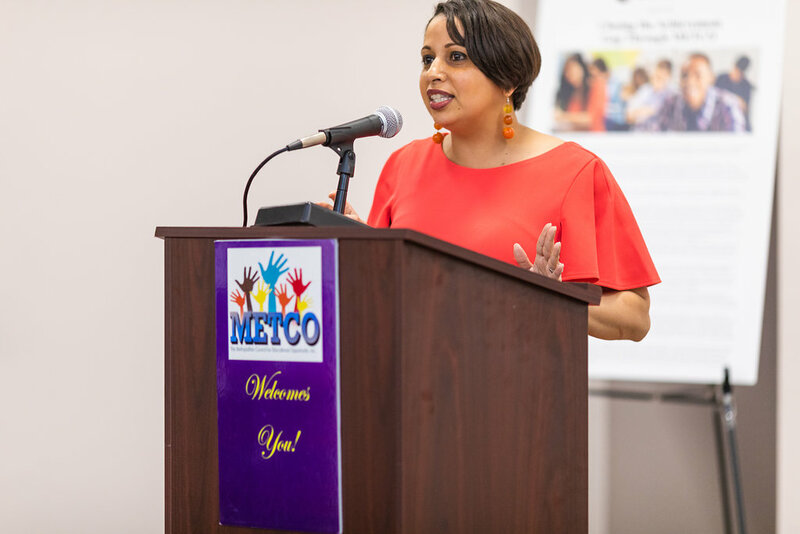 METCO’s CEO spoke with Juri Love of Color Magazine about how her life experience influences METCO’s evolving vision. 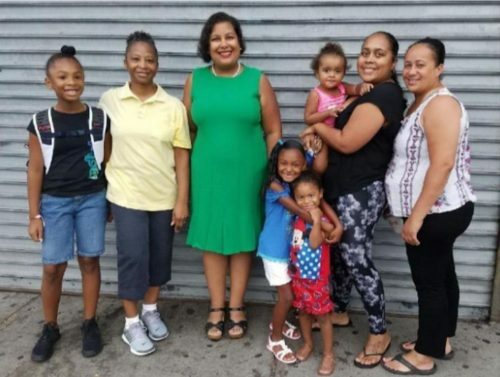 Milly Arbaje-Thomas immigrated to the United States from the Dominican Republic as a child, and watched her mother overcome the language barrier and work tirelessly to put Milly through Catholic School in Lynn, Massachusetts. Now, she shares that dedication to her children’s education with the thousands of other METCO parents: her two children attend school in Brookline through METCO. As a Dominican immigrant with Lebanese roots, married to a Black and Filipino man, I hope to never forget the cultural richness that I personally bring to this job. And most importantly, I hope [to continue] opening doors and bringing opportunity to others. A few years ago, while I went through cancer treatment, I told myself I would only [resume] working full-time if my job was meaningful and had a significant impact across the Commonwealth and beyond. METCO is exactly that! It’s not every day that one can work for a program that creates educational opportunity for students of color from urban neighborhoods and helps to close the achievement gap, [while] fighting racism. Read her whole interview with Color Magazine here. © 2018 METCO, Inc. All Rights Reserved.